Click the magazine cover to get a pdf. Audio! isn't just about music but about audio engineering more generally. That includes anything to do with understanding and manipulating sound: the way we hear it, and the ways we (and even bats) don't. 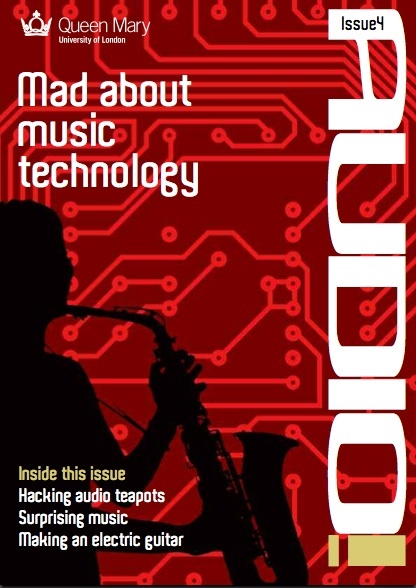 In this issue we explore some of the science and engineering behind how we might one day make sonic invisibility cloaks and find out how a bunch of female hackers used teapots to mix audio engineering and art. We explore how to correct flaky X Factor singers and even how to make completely virtual singers. Audio engineering isn't a modern invention. We therefore look at the feats of the engineers of antiquity who created audio effects without modern technology. We also explore animal audio engineering - asking how bats avoid deafening themselves with their own sonar. Audio engineers are interested in doing more than just playing music. They want to create new sounds and even new instruments to make them. It is audio engineers who are responsible for writing systems that, for example, allow out-of-tune pop prima donnas to actually sound great, and allow inventive musicians to create new sounds. Mere musicians might strive to compose new music but audio engineers aim higher - they might aim to write programs that can compose for them! Audio is about more than just music though. Once sound has gone electronic it opens up new ways for creating video game soundtracks, creating bubbles of sound in which your secret conversations are safe, and quickly spotting ill animals (and maybe ill people too). Even the team trying to beat the land speed record need to know about the physics of sound if their driver is to survive the experience. Audio engineering is an exciting place to be right now. Fed up with all that feedback as your guitarist goes near the speaker? Would you twiddle with the knobs, or would you write some audio software to balance the speakers automatically for you? Do you still manually create playlists for your iPod? 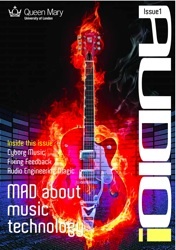 The audio engineers got fed up of doing that too so they've been coming up with ways your computer can do it for you, whether by analysing your music or working out your moods. Don't accept that music has to be made and played the way it's done now. Invent a new way.